← Hear the Buzz about SONGS OF MY SELFIE! Translator and poet Peter Waugh, whose recent translation of Thomas Bernhard’s first book, ON EARTH AND IN HELL (Three Rooms Press, October 2015) has received widespread critical acclaim, will be part of a panel discussion exploring the poetry of Thomas Bernhard. The event takes place Monday, January 25 at Österreichische Gesellschaft für Literatur in Vienna. Admission is free. The panel will include translators who have presented the great Austrian author’s poetry in German, Polish, English and Italian. It is coordinate with the Thomas Bernhard Private Foundation. 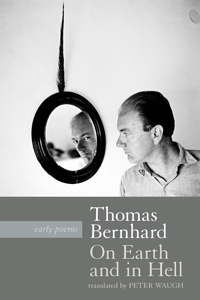 Thomas Bernhard: »On Earth and in Hell. Early Poems. Thomas Bernhard: »Sotto il ferro della luna. Unter dem Eisen des Mondes«. Traduzione di Samir Thabet. 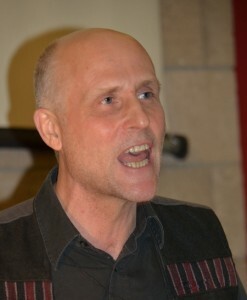 (Milano: Crocetti Editore, Fondazione Poesia Onlus). Raimund Fellinger, Sława Lisiecka, Samir Thabet, Peter Waugh und Ryszard Wojnakowski.